A reliable source for Ultrasonic Cleaners Manufacturers information and a resource for accessing leading Ultrasonic Cleaners Manufacturers and suppliers. Ultrasonic Cleaners Ultrasonic cleaners are relatively new cleaning tools that work using ultrasonic energy and water, aqueous solutions or solvents. 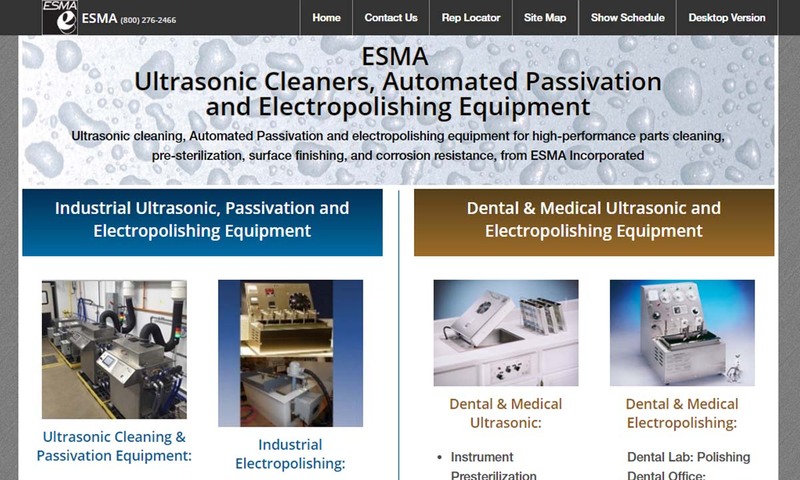 Since 1972, Esma Inc. has been producing quality ultrasonic cleaners, as well as benchtop electropolishing equipment. Esma offers a unique and progressive approach to automating the ultrasonic cleaning process. Since 1972, Ultrasonic Power has provided excellent & affordable ultrasonic cleaners. We have the experience & equipment you can depend on to help you take your project from start to finish. 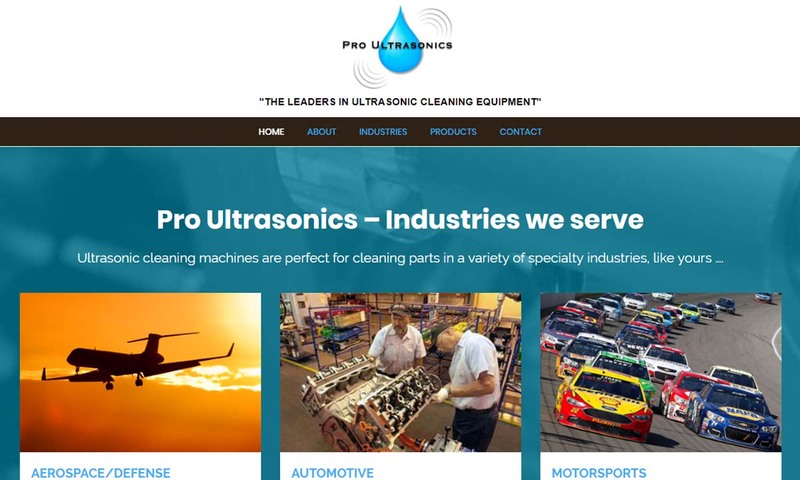 Pro Ultrasonics is the leader in precision ultrasonic cleaning equipment. Our high-performance equipment comes in a variety of sizes ranging from compact table top models to large industrial units. 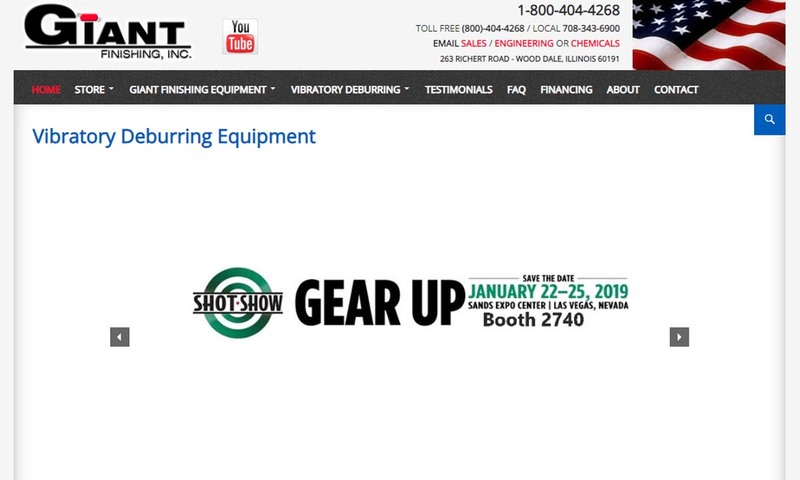 Ransohoff specializes in multi-tank ultrasonic cleaning systems, ultrasonic cleaning tanks, immersible transducers and ultrasonic parts washers, utilizing award-winning Neptune series ultrasonic generators. Giant Finishing, Inc. is a worldwide manufacturer and supplier of finishing equipment. We are a family owned business with over 25 years of experience in the industry. Manufacturers construct ultrasonic cleaning equipment in order to provide customers with a way to efficiently and effectively clean small parts and particles in hard to reach places. The ultrasonic cleaning process is used to remove a wide variety of contaminants, such as: mold release agents, polishing compounds, sludge, oil and buffing compounds. Most commonly, cleaners ultrasonic wash: copper, stainless steel, copper, iron, aluminum, brass, plastic, rubber, wood and cloth materials. Examples of the products they clean most often include: precision tools, jewelry, heat exchangers, electronic parts, dental instruments, medical instruments, weaponry and watches. Some of the industries that rely most heavily on ultrasonic machines include: aerospace, automotive, manufacturing, jewelry, reconditioning and maintenance, military and defense, pharmacy, laboratory, healthcare and filtration. The seeds of ultrasonic cleaning were first developed in the early 1930s, quite unintentionally. This came about when workers were cleaning radio components at the Radio Corporation of America (RCA). As they used Freon to cool them, noted a wave action surrounding a crystal component operating at 300 kHz. What they observed was ultrasonic power. While they found the event to be quite interesting, they did not pursue the matter until several years later, specifically in 1949. After a few years of research, developers debuted the first ultrasonic cleaners in 1952. Ultrasonic cleaners used in the 1950s typically operated between 18 kHz and 40 kHz. In the 1970s, ultrasonic cleaners became available as inexpensive home appliance cleaning systems. Since the 1990s, ultrasonic technology has advanced in leaps and bounds, and it continues to develop rapidly. New developments include fully automated systems. These precision cleaning systems borrow from traditional cleaning methods, like rinsing, precision flushing, power spraying, and drying, which they accomplish rapidly. The results are so rapid, in fact, that when the cleaner uses deionized water, it leaves behind zero residue. This system reduces costs by eliminating the need for extra rinse water components, increasing pre-assembly cleaning quality, and cutting solvent use by 90%. Modern ultrasonic systems can not only clean parts using higher frequencies than ever, but clean parts using a wider range and more precise application of these frequencies than ever. This way, both parts that need aggressive cleaning and delicate parts that need gentle cleaning can get what they need. Facilitating optimal performance levels and minimal environmental impact, we can expect ultrasonic cleaning to continue to ushering us forward as it advances. More efficient and environmentally-friendly than older methods, ultrasonic cleaners work using high frequency sound waves, usually pitched around 18 kHz, and cavitation of a fluid solution. Note that, because ultrasonic isn’t always effective on its own, it is sometimes combined with aqueous cleaning solutions to get the job done. Either way, the sound waves vibrate the fluid and cause cavitation, which forms tiny bubbles in it. The tiny bubbles produced by cavitation then explode, removing particles from otherwise inaccessible areas (ex. hidden parts, areas too narrow, grooves, etc.). This works because the explosion simulates an extremely exact and reliable scrubbing action. One way that ultrasonic cleaning equipment is divided is by the cleaning mediums they use. The three most common types of ultrasonic cleaning are solvent cleaning, aqueous cleaning and hot water cleaning. Solvent cleaning, also called vapor cleaning, involves evaporating a solvent then condensing it onto the surface of a part or parts. Aqueous cleaning systems use some sort of water-based ultrasonic cleaning solution. Hot water cleaning creates cavitation in a heated stream of water, free from any other chemicals. Another way equipment is typed is by their application-specific design. 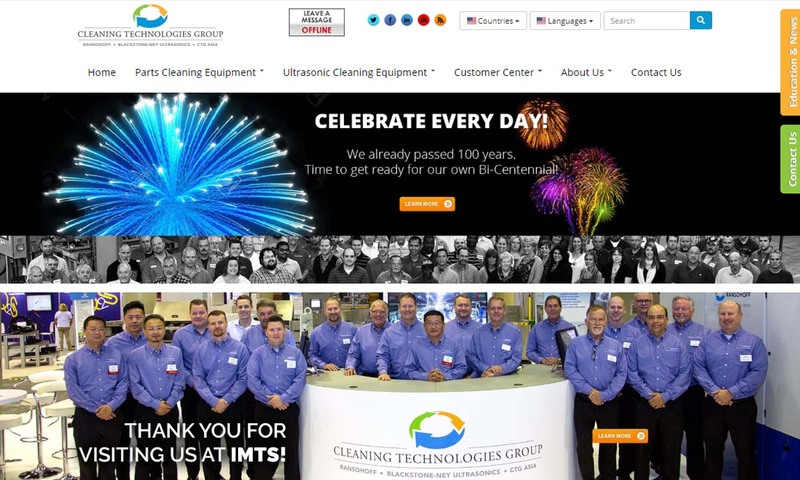 Examples of cleaners named after their application include ultrasonic golf club cleaners, ultrasonic blind cleaners, ultrasonic jewelry cleaners, and ultrasonic degreasers. Golf club cleaners target the dirt that accumulates on the club and grips over time from use. Unlike most other cleaners, golf club cleaners are vertically aligned to accommodate the shape and length of the clubs. Ultrasonic blind cleaners are made to take on the deep-seeded contaminants like grease, fingerprints, and nicotine stains that that plague duettes, verticals, pleated shades, and the like. They perform their prescribed task with the help of a transducer, an ultrasonic generator and a large-ish ultrasonic cleaning tank (which can be converted to a portable tank with the attachment of casters) filled with hot soapy water and powerful sound waves. Ultrasonic jewelry cleaners, which are small and typically only for personal or commercial use, get far into the nooks and crannies of rings, earrings, necklaces, and bracelets to remove grime, polishing compounds, buffing, and the like. They usually consist of a small tank containment basket and outside pressure controls that are powered by transducers or batteries. Ultrasonic degreasers target contaminants like auto grease and mold release agents found in parts processing. They are built quite similarly to blind cleaners, aside from the fact that their ultrasonic transducer is usually mounted at the base of the tank, where it can achieve sound waves up to between 20 and 40 kHZ. Multi-frequency cleaning systems can clean a variety of contaminants with the assistance of a wide range of frequencies and vibrations. They are created when manufacturers combine a regular ultrasonic cleaner with a square wave signal. No matter the type, all ultrasonic equipment is powered with the following basic components: a transducer, a generator, and an immersion tank. Powered by the generator, the cleaner’s work begins with the transducer, which converts electricity into high-frequency sound waves to causes cavitation, or bubble formation. It can either be attached to the tank or lowered into the fluid as a means of introducing sound waves. Note: A transducer that can be lowered directly into fluid is called an immersible transducer. The ultrasonic tank contains an ultrasonic conductive fluid, which is most likely a hot cleaning solution, water-based cleaning solution, or an evaporated and condensed solvent. An agitating combination of the fluid and the formed bubbles are what ultimately perform the cleaning action. Ultrasonic cleaners are pretty easy to use. Just lower the parts to be cleaned into the tank, turn on the system and, voila, the cleaning begins. You can turn on the system using either control knobs or digital controls. Also, by adjusting sound wave frequencies, you can change the number and size of bubbles or collapse them altogether. Note that, since there is a direct link between the frequency and the number of implosions, ultrasonic cleaning offers a very high level of process control; higher frequencies are better for removing very small particles. Ultrasonic cleaners offer a number of advantages, among them: versatility, speed, energy efficiency, environmental friendliness, gentleness, reliability and cost effectiveness. In addition, they offer a level of clean that traditional cleaning methods cannot. First, ultrasonic cleaners are highly versatile. They allow you to clean contaminants of all kinds, from sand to cutting fluids, to metal chips to sulfur. Ultrasonic cleaning is a fast process, so you can save time and money. In addition to being time efficient, ultrasonic cleaning is also energy efficient. Because it uses only one motor to carry multiple task, instead of multiple motors like conventional cleaners, industrial ultrasonic cleaners consume much less energy and electricity. This is good for both your energy bill and the environment. Ultrasonic cleaning is environmentally friendly because it produces fewer emissions, biodegradable waste and lower energy consumption. Also, it’s compatible with environmentally friendly cleaning solutions. Traditional cleaning methods turn to actions like vacuuming, scrubbing, spraying and abrasion to get the job done. The cleaning process offered by ultrasonic cleaning, on the other hand, is much gentler. Though we say it “scrubs” parts as well, cavitation is a very different experience than scrubbing with a stiff brush. Its use of ultrasonic frequency and cavitation makes it suitable for use on the most sensitive devices, including microchips. 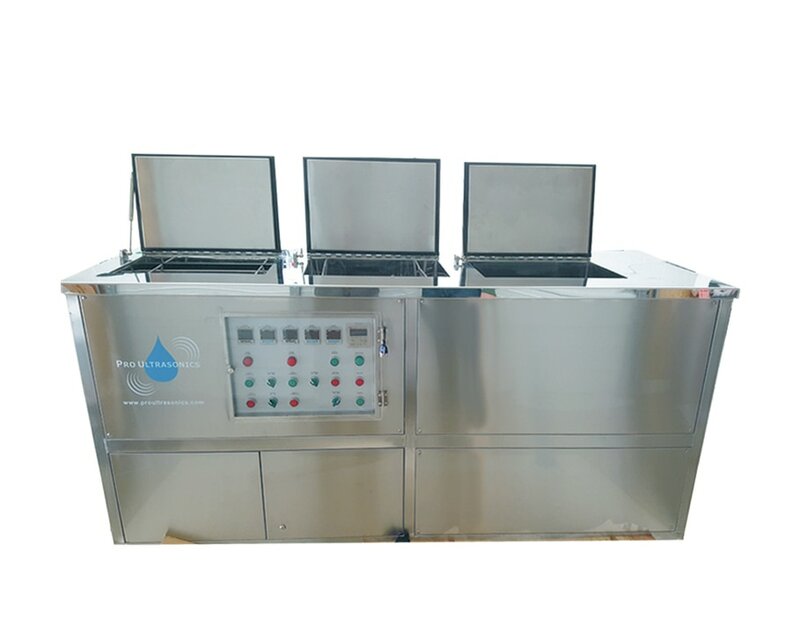 Ultrasonic cleaning machine technology does not rely on rotary or moving parts, and because of this, it is far less likely to malfunction than those cleaning machines that do. 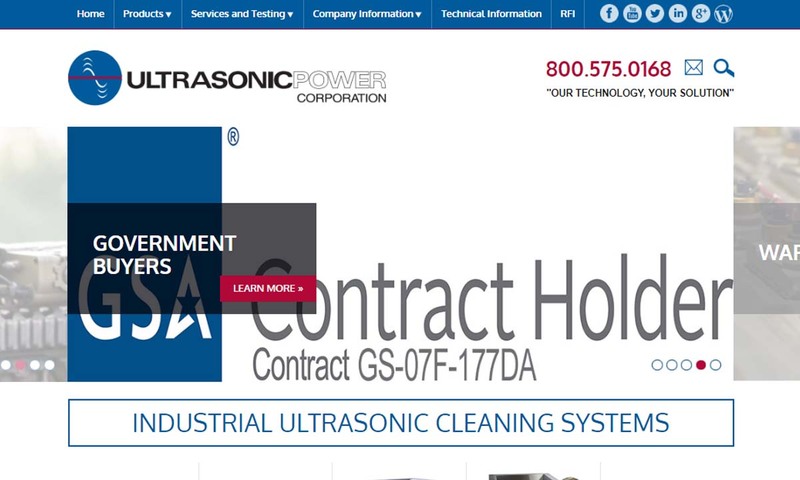 Ultrasonic cleaning presents minimal operating costs. This is because it uses only sonic energy and soap-based solution. When designing ultrasonic cleaners, manufacturers consider a number of factors, including: projected frequency of system use, projected volume of cleaning, the size and shapes of the parts to be cleaned, material composition of parts to be cleaned, required level of cleaning and mobility. Considering these, they make decisions about material construction, shape, size, portability, system frequencies and cleaning mediums. Most often, ultrasonic cleaner components are made from a material like stainless steel, for the purposes of durability and corrosion resistance. Particularly common is the stainless steel tank. In addition, cleaners range in design from small and portable to large enough for industrial tank processes, and they’re generally rectangular or long and narrow. Manufacturers most often pair them with cleaning mediums of a solvent, water-based or hot water nature. Ultrasonic cleaners can be customized for any application. In addition to system shape and size, manufacturers can customize ultrasonic cleaning systems by, among other things: swapping out a transducer for battery power, adding casters for mobility, making a digital ultrasonic cleaner, and making the system multi-frequency by pairing it with a square wave signal. Ultrasonic cleaners are subject to safety and compliance standards per your industry and region. For instance, military equipment must be cleaned by a washer that meets Mil-Specs. Likewise, parts and products related to the healthcare or the food industry can only be cleaned by a system that meets FDA standards. One of the most trusted standards organizations in the USA and abroad is ASTM International. Therefore, it would be in your best interest to make sure you follow the practices outlined in ASTM G131 – 96(2016) e1 (Standard Practice for Cleaning of Materials and Components by Ultrasonic Techniques). If you live in the United States, it’s also important that you make sure that your system is NIST compliant, and that the cleaning agent you purchase follows EPA standards for environmental health and safety. Internationally, your system and all its components should have ISO certification. As ultrasonic cleaning grows in popularity and ease, more and more suppliers appear. While this is great for competitive pricing, it can cause confusion and indecision. To help you discern, we’ve compiled a list of manufacturers and suppliers that we have found to be fair, reliable and high-quality providers. Find them by scrolling up to the middle of the page. There you will see their profiles and links to their respective websites. Browse these; check out their product and service offerings. As you do so, make note of those you find most promising. Choose three or four to whom you’d like to speak directly, then reach out to each of them. Detail your specifications and requirements, and ask any questions you have. Pay attention to their respective answers and attitudes regarding: price points, lead times, delivery capabilities, secondary services, customization and standard certification. Keep in mind that you want to find a supplier that offers you not only excellent prices, but excellent customer service.  Once you’ve determined which manufacturer will do the best work for you, contact them again and get started.